Interview with the CEO of Mattel163, Amy Huang-Lee, About Their Latest Release, UNO! der Artikel - Casual Spiele kostenlos! Interview with the CEO of Mattel163, Amy Huang-Lee, About Their Latest Release, UNO! Diesen Artickel einschätzen We had the opportunity to have interview none other than the CEO of Mattel163, Amy Huang-Lee, to learn more about their latest game release, UNO! We had the opportunity to have interview none other than the CEO of Mattel163, Amy Huang-Lee, to learn more about their latest game release, UNO! 1. I think many players aren’t familiar with Mattel163 as opposed to the brand (Mattel) itself. What is actually Mattel163? Mattel163 is very young and very old at the same time. We’re about a year old as game studio. It’s a joint venture of development muscle from NetEase and IP power from Mattel, thus the name Mattel163. Our mission is to create world-class mobile games and educational apps with Mattel’s iconic brands. 2. What spurred the decision to reintroduce UNO as a mobile game yourself (Mattel163) after Gameloft’s license for UNO & Friends expired, rather than simply renewing Gameloft’s license or getting another company to do it? We had a different twist on UNO in mind and a very creative development team which is why we wanted to introduce our own new version. We were also able to learn from the Gameloft game and improve upon it. UNO is such a classic game, which deserves modernization to adapt to today’s mobile players’ needs, such as collaborative team play, social chat, live streaming. 3. 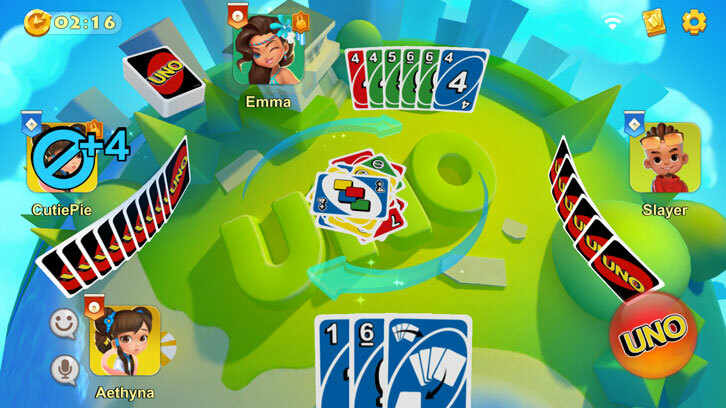 Will all of the features from the PC version of UNO eventually come to the mobile version? For example, “Personalized House Rules”, “Jump-In” or any of the other classic rules? Our mobile game UNO! is the classic card game with a LOT of new twists. We’ve got team-based 2v2 mode, where you can see your partner’s hand and help each other win. You can choose your own rules in Room Mode and play with your friends. You can go into high multiplier games to win big or go home with nothing. We also run tournaments to let players from around the world compete for the top spot. UNO! is fresh, fun, and more exciting than ever! 4. Does UNO support cross-platform play? For instance, can I play with another player who is playing UNO on Facebook or Facebook messenger? Our game supports cross-platform play, connecting players from around the world into one game. Players in our mobile app can play with Facebook Instant Games players in the same game. 5. There have been reports that some players are intentionally trolling their teammate in a random 2v2 game. Is there a way that players can currently use to combat this? We always encourage friendly competition so if players are ever feeling like they are being trolled, we’ve typically seen those players quit the game and join another game. 6. Are you planning to add in premium avatars and emoticon for players to buy using premium currency (diamonds)? 7. Will players be able to use their Facebook profile pics as their avatar pics later down the road in this game? I think this is a feature that many players are asking for. This is already currently a feature. To change your profile photo, connect and login to Facebook. This can help you complete your daily tasks and unlock achievements. 8. Are you planning to add in other types of collectibles (besides achievements and medals) in this game? Yes, we’ll continue to introduce special event-based items as well as unique limited time card backs. 9. Is Mattel163 currently working on other games using Mattel’s IP? If so, mind giving us a sneak peek as to what you all are working on besides UNO? There’s another game currently under development – it’s also a strong Mattel IP, but we can’t share anything else at the moment. We are also looking at licensing games that fit with our overall portfolio strategy. Thank you for answering our questions! For those who are interested, you can now download and play UNO! for free on Android and iOS, as well as on Facebook and Facebook messenger.